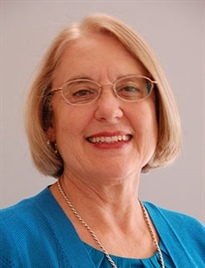 Sharon Langenbeck, Ph.D., is President-Elect for Zonta International and Zonta International Foundation. She retired in 2008 from the Jet Propulsion Laboratory, where she held both line and project management positions. While Section Manager of Mechanical Engineering, she managed over 200 engineers designing and developing space flight hardware and was responsible for all technical, cost and schedule performance of the Section’s business. The Section’s annual business base was more than US$80 million supporting over 30 concurrent projects. Sharon joined the Zonta Club of Santa Clarita Valley, USA, in 1979. She served as Zonta International and Zonta International Foundation Vice President from 2016-2018 and as an International Director from 2014-2016. She also served as International Amelia Earhart Fellowship Committee Chairman from 1992-2000 and 2010-2014, was an International Amelia Earhart Fellowship Committee member from 1988-1992, and Area Director from 2012-2014. Sharon received her Bachelor of Science with Honors, Master of Science and Doctor of Philosophy, in Mechanical and Aerospace Engineering from the University of Missouri-Columbia. While pursuing her doctorate, she was twice awarded the Zonta International Amelia Earhart Fellowship. Sharon sings in her church choir. Her personal interests include international travel, winemaking and visiting museums. She also enjoys swimming and gardening. D14 is proud and pleased to welcome Sharon Langenbeck as our liaison to the international board. D14 freut sich, Sharon Langenbeck als Liaison des D14 zum International Board begrüßen zu dürfen.